Discover Australia's hidden gem! 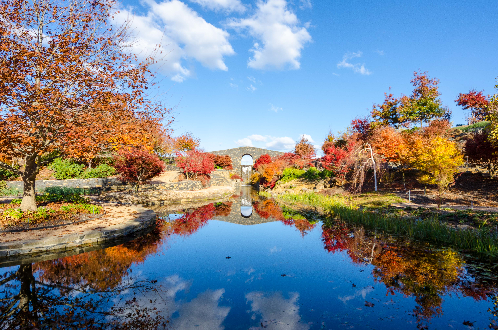 One of the largest privately-owned gardens in the world, Mayfield is inspired by Europe's premier gardens and re-imagined for Australia. Mayfield is a spectacular 64-hectare garden filled with hewn blue-stone walls, stunning water features, and a myriad of plants to delight the senses. It is open 9 AM - 4:30 PM (last entry at 3 PM) 363 days of the year (closed 25/26 DEC). 16 days each season, enjoy the 50+hectare of the breath-taking Hawkins' Family Garden. Plus special Private Garden open days as listed. Festivals entry fees vary by season. Please see our website for full details. Mayfield is the artistic and entertainment hub of the Central West, and we are here to help you create a stunning event of your own at Mayfield, be it a Christmas party, corporate retreat or private event. 'Valley of the Five Ponds' - a 2-hectare garden with an abundance of bulbs (40,000) and ponds connected by a flowing stream. We've planted thousands of new plants within existing garden beds over the last 12 months. Mayfield is so excited to be able to expand the opportunities for all visitors to Mayfield regardless of their physical limitations or age to explore more of the beautiful garden. Mayfield consulted with Julie Jones from Have Wheelchair Will Travel for advice on being more accessible for all visitors. Julie said, 'We welcome this opportunity for this beautiful garden to be available to so many more people.' She went on to say that with her background in tourism, specifically considering people with mobility concerns, that she has always been very aware of the desire for people to see places like Mayfield, and she added, 'I am just absolutely thrilled that [Mayfield] is going to be more accessible.' James Horsburgh, who grew up in far west New South Wales on a property between Walgett & Brewarrina helped Julie's son, Brandon, open the Camellia Walk. Both Julie and James expressed how amazing it is to now be able to share the Mayfield experience with their families. Mayfield Cafe is now a leader in Australia in serving a garden and farm to table menu. Our head chef creates a menu from produce grown onsite in Mayfield's vegetable gardens, orchards, and cattle and sheep farm paired with locally sourced specialty items. The Nursery at Mayfield Garden is open all year and is stocked with a wide range of cool climate plants including ornamentals (Birch, maples, oaks) as well as fruit trees, flowering plants, and seeds. 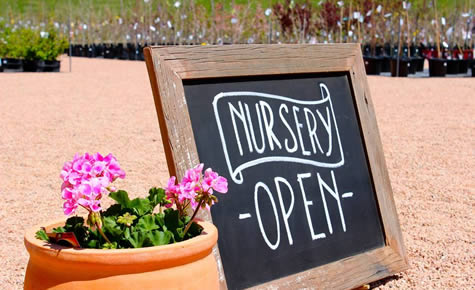 Our Nursery Mayfielders are trained experts in cool climate and cold hardy plants. They are always happy to provide advice to all visitors - guaranteeing every plant sold from the Nursery. The New Spring Tips and Tricks are out, click the link to find out what our awesome horticulturists recommend for this spring. Mayfield offers 6+ stunning ceremony locations and 2 memorable reception venues. To view your full wedding package, click the link. This will provide you with more details about your ceremony, catering, and reception options. We visited this garden both water and private on April 28, 2016. We spent the whole day wondering around. A every corner was a new unexpected display of beautiful proportions. A delightful visit. This is a staggering garden both in size & beauty. The water garden is impressive & works beautifully with the nearby plantings. Don't miss the 'private garden' when it's open - a French inspired theme with stunning views of the country side. The cafe is more than adequate. A nursery stocks some rare cool climate plants. A must see!